The discount fashion retailer's profits grew 30%, propping up its parent. Associated British Foods (ABF), the conglomerate with holdings as diverse as Primark, Ovaltine and Ryvita, reported a 3% fall in revenue to £12.9bn and a 1% drop in operating profits to £1.2bn in the year to September today. The falls were largely driven by the rising price of commodities, which meant ABF's sugar division reporting a 56% fall in profits and 22% fall in revenue, exacerbated by the strength of the pound. ABF's top line figures would look much worse were it not for the impressive performance of Primark (a.k.a. Primarni) which continues to open yet more new stores and reported a 30% boost in profits to £662m. This is perhaps further bad new for the likes of Marks and Spencer, which has seen clothing sales flag of late. Primark launched in France this year and by the end of 2015 it will take the bold step of opening its first store in US. Hopping across the pond is a move many British retailers have come to regret, but ABF is confident it can make things work. 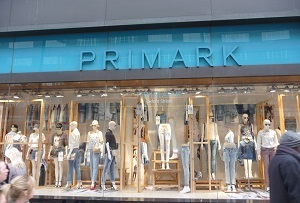 ABF, whose other brands include Twinings, Silver Spoon and several ingredient producers, may seem like an unlikely home for Primark, but the conglomerate has had a number of forays into retail in the past. It was founded in 1935 by Canadian Garfield Weston, whose descendants still control the company, and was initially focused on bakeries. The ambitious entrepeneur was keen to control as much of the supply chain as possible, so the company expanded with acquisitions all around the world in everything from agriculture to restaurants, supermarkets and fuel. In the late 1960s Weston hired Arthur Ryan to set up a discount clothing chain, giving him £50,000 to open its first store, Penneys, in Dublin. When the chain expanded into England it needed a new name as JC Penney had rights to the other one, and so Primark was born. Today it's ABF's only remaining retail brand, after it sold its supermarket chains, Quinnsworth and Stewart's, to Tesco in 1997. Rapid expansion of Primark and its fast, cheap fashion since then has been been keeping ABF's results looking sweet.